To the Instructor: Optional Assignments/Activities/Extra Credit Opportunities for Unit 1 – How to Learn Like a Pro! Since this is the first week of the course, an “ice breaker” for face-to-face classes helps students get to know each other better while also providing an opportunity to introduce two mnemonic devices: remembering by using association and organizing information by using a graphic (in this case, a three-column chart). Direct students to create a chart that has three columns. In the first column, they will write their classmates’ names. Across from each name in the second a third columns, they will write a word then a picture or symbol for each classmate that will help them remember the names (a fishing pole for one who likes to fish, for example, a flower for a gardener, a hat for another who says he always wears hats). Explain that they will be filling it out for as many classmates as they can in whatever time is available for this activity. Demonstrate by filling out the first entry for yourself. A “word association” for me might be that I am tall, or that I am the instructor. I ask the students what kind of picture or symbol usually represents a teacher to them. Most often, it will be an apple. Give students an amount of time to get as many names down as they can. Afterwards, they can test themselves using this mnemonic creation by studying it however they want to, to help them remember names. Of course, they have also engaged in a good opportunity to find out who they will be learning and working with in a casual and enjoyable way–as has the instructor. Many students will simply tuck a course syllabus away in their notebook. It’s a pretty dull document, after all, with information such as course standards, objectives, classroom rules and regulations, and the like. They might do little more than glance at it and transfer the instructor’s email address and phone number to their cell phone. However, there is often not only vital but also very useful information in a syllabus: grading information, holidays/school closure lists, where they might access disability accommodations, campus emergency numbers, how to lodge a grievance and many more useful items. One way to not only help them realize that a syllabus contains vital data but also to practice annotation skills is to assign a treasure hunt. Here is a sample EL115 syllabus treasure hunt for a typical EL115 course syllabus at Lane. Perhaps a list of classmates names/contact information: sample classmate contact form. 12 notebook dividers (one for the handouts, hand backs, scored/graded assignments for each of the 10 weeks of the course; and two for students’ choice. Some of my students prefer to keep all quiz/assessment type tasks in one place, for example. Some of them keep paper in another for note taking or other tasks. This can be created as an actual physical search around campus for student services, or a website hunt. For our students at Lane, here is a sample online hunt: Lane Community College Students Services, campus treasure hunt. Grades for this course as taught are determined primarily by the rubrics for the rubric for-take-home mid-term and for the take-home final portfolio projects assigned at the end of Unit 3 and Unit 6, respectively. This instructor teaches this as a face-to-face class presented on a Course Management System (MOODLE, at Lane), and includes points for attendance, as well as some miscellaneous homework assignments, mostly lesson exericises. 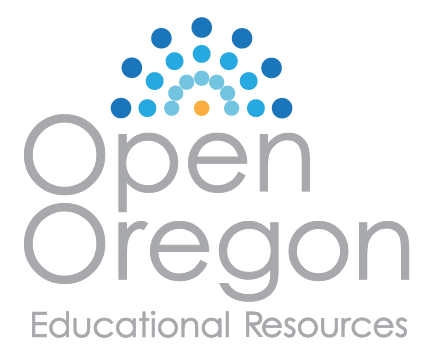 However, this OER can be used for online or hybrid classes as well. For exercise 5.2 (re: the Brain dominance Theory), students could act out their responses.